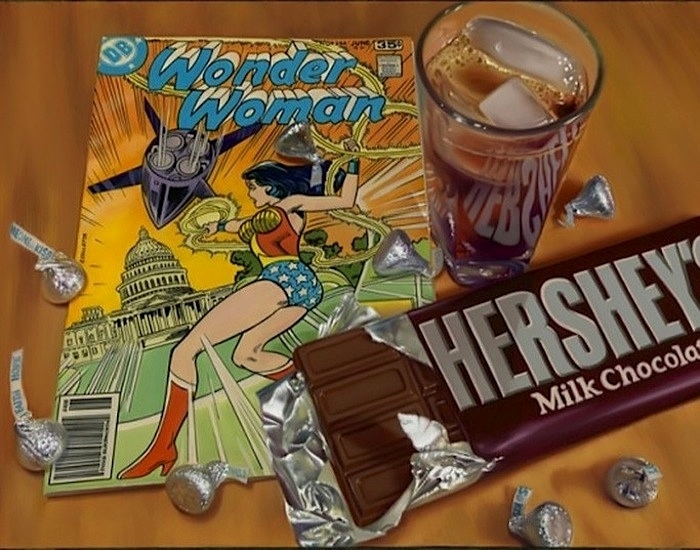 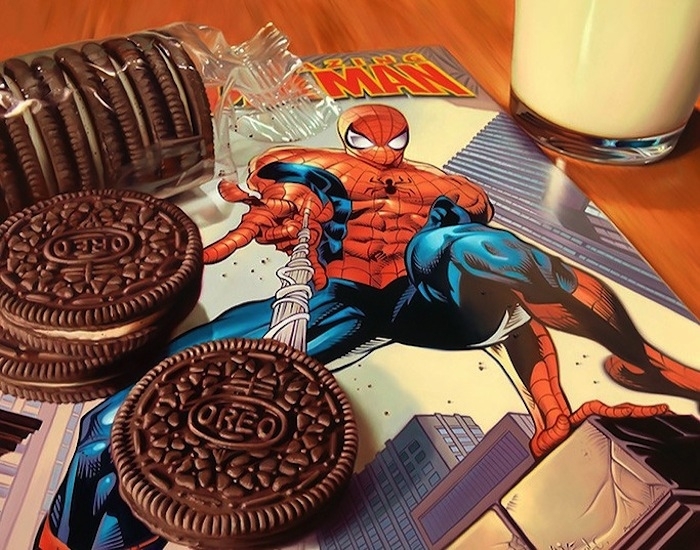 Yes, as you may have guessed by the title, these are not photographs, but very realistic paintings, by talented artist, Doug Bloodworth. 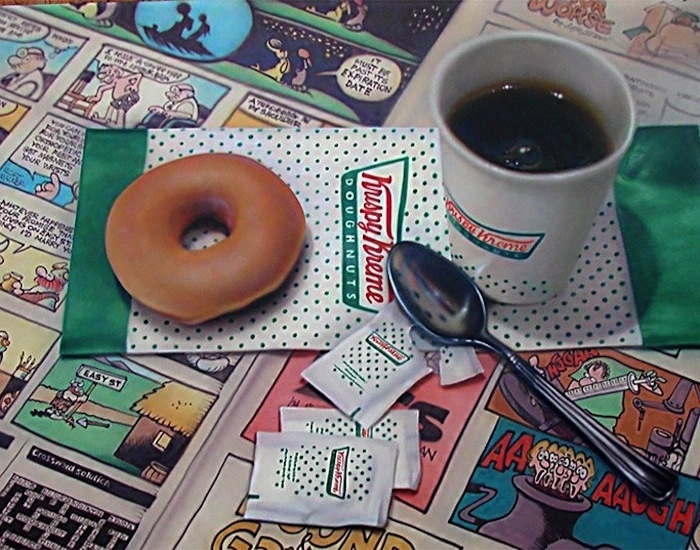 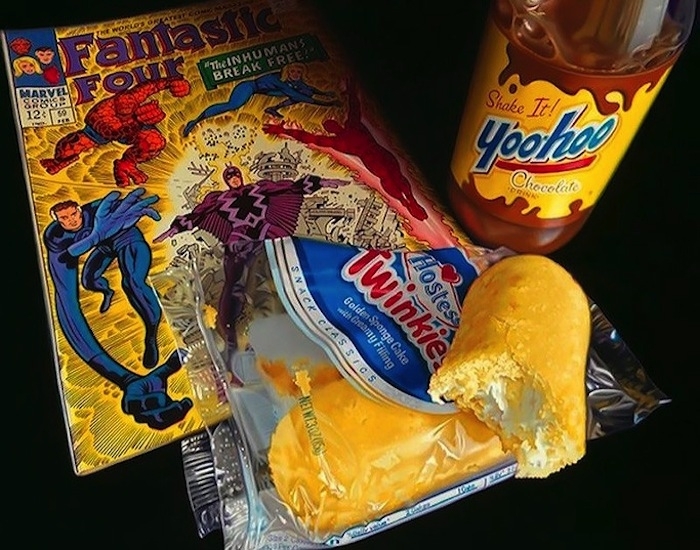 He was heavily influenced by American Western Classics, from a young age, which he is now able to express, together with pop culture, in his realistic paintings. 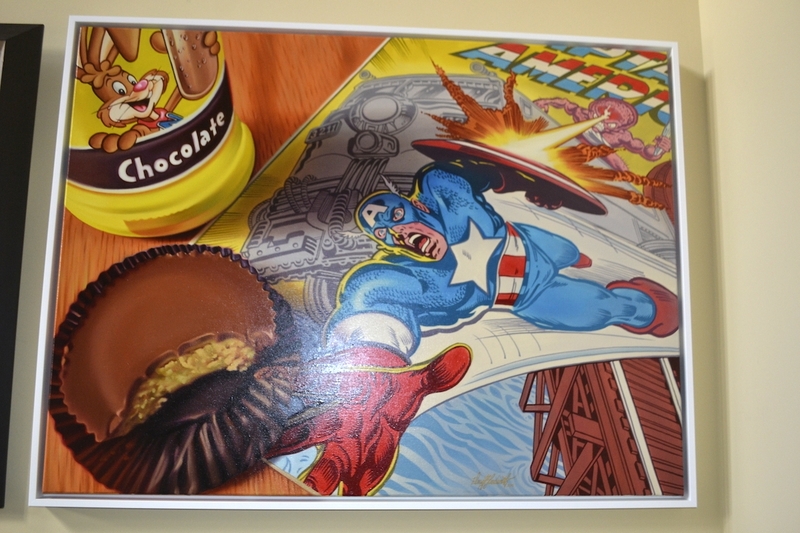 Throughout his carer, he has worked trough several genres of art, that span form painting caricatures to billboards. 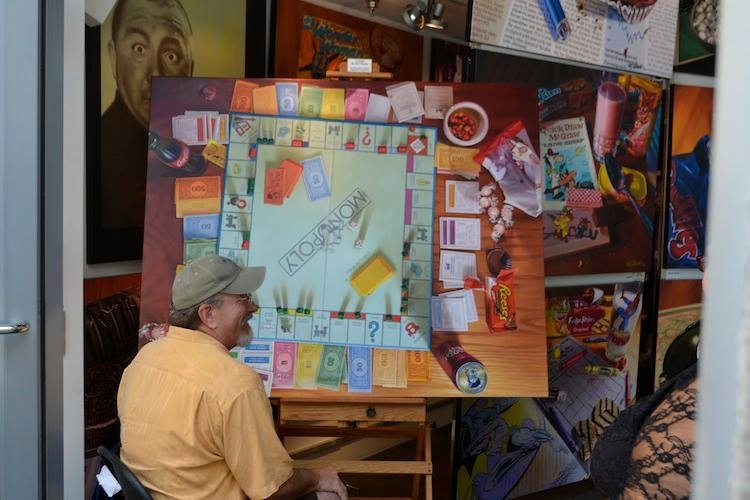 He is now concentrating his art, around this fascinating and realistic art form, mixed with a bit of nostalgia. 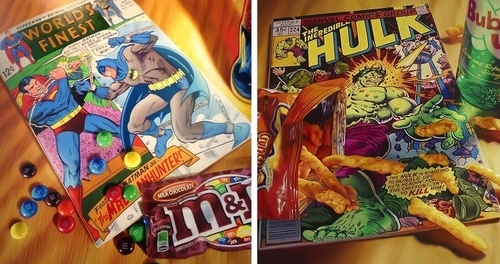 Time-lapse video of one of his pieces, below. 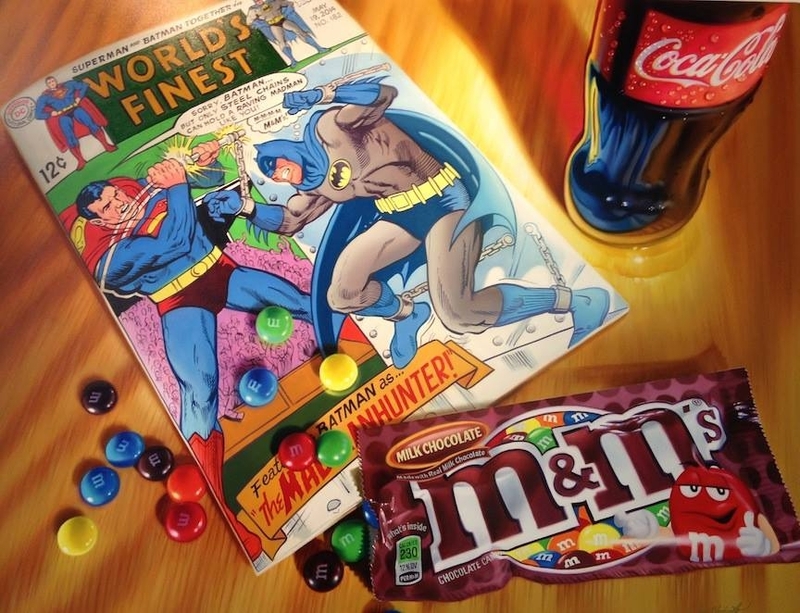 Batman v Superman and m&m. 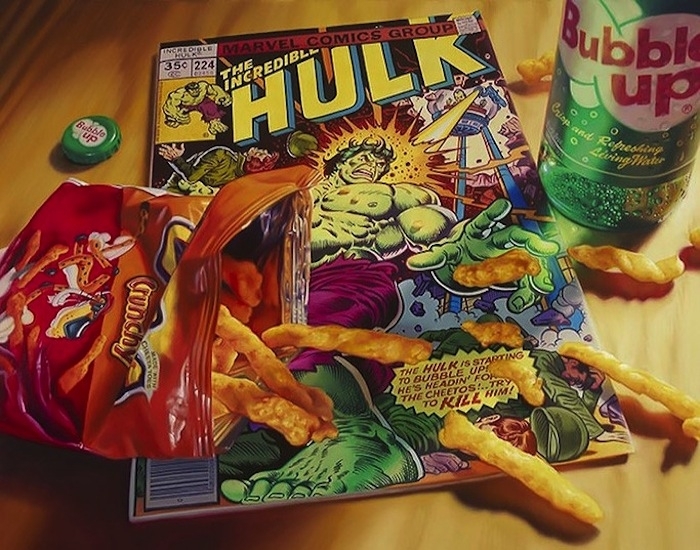 The Incredible Hulk and Bubble UP. 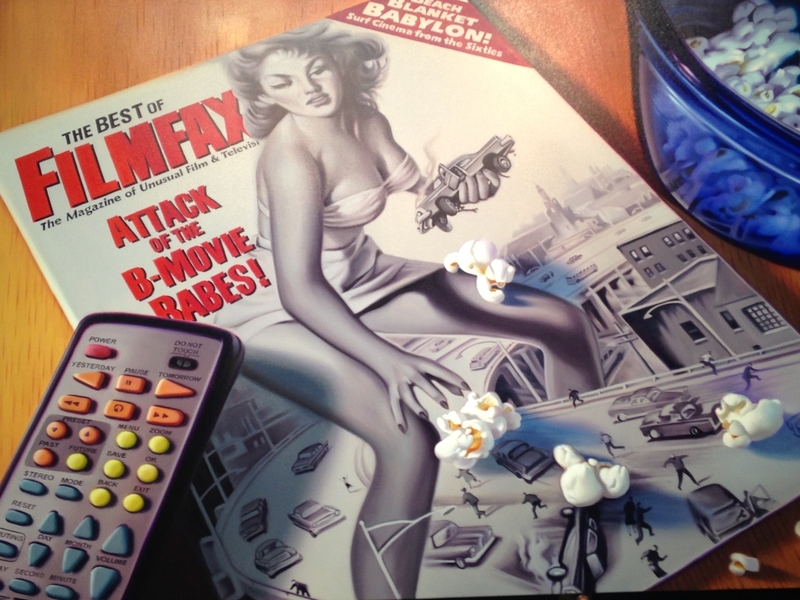 Attack of the Fifty-Foot Woman and Popcorn. 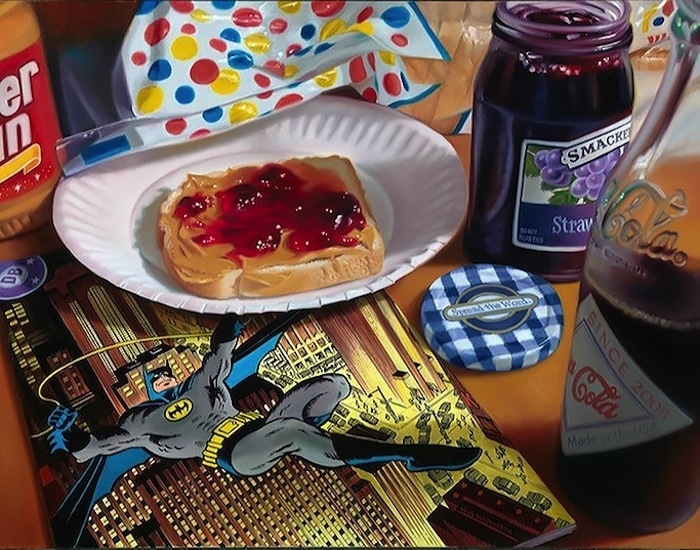 Batman and peanut Butter and Jelly. 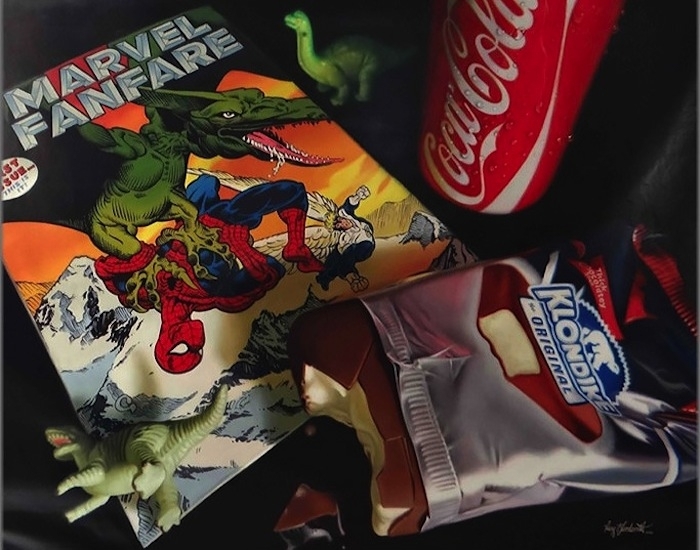 Marvel Fanfare - Spider-Man and Klondike. 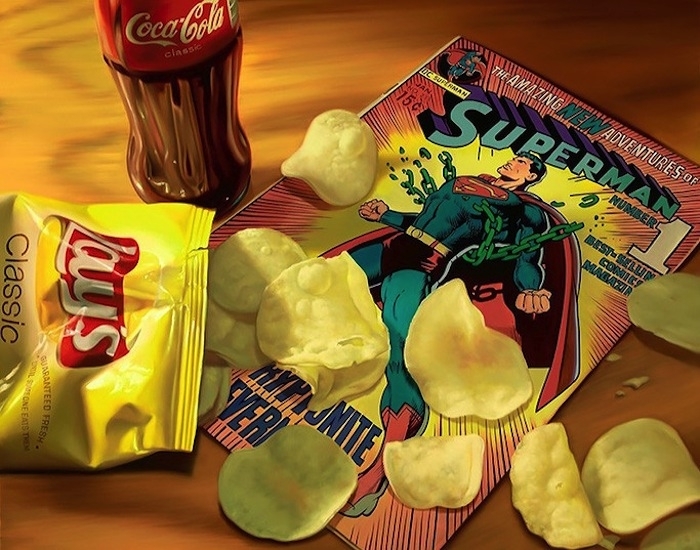 Superman Lay's and Coca Cola. 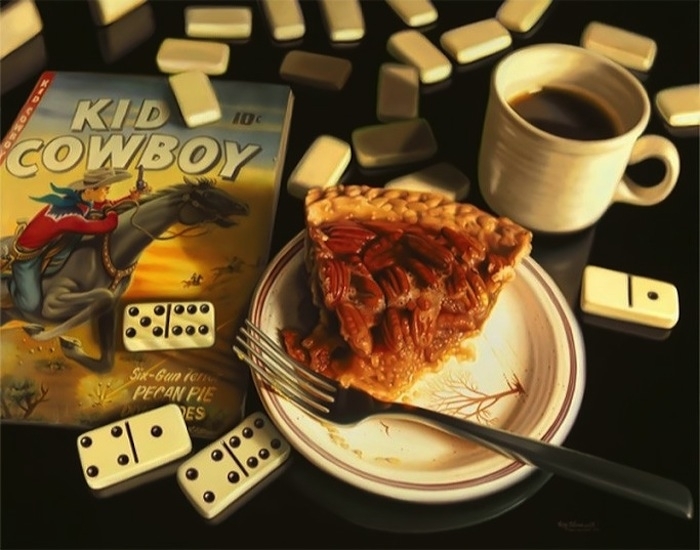 Kid Cowboy - Pecan Pie. 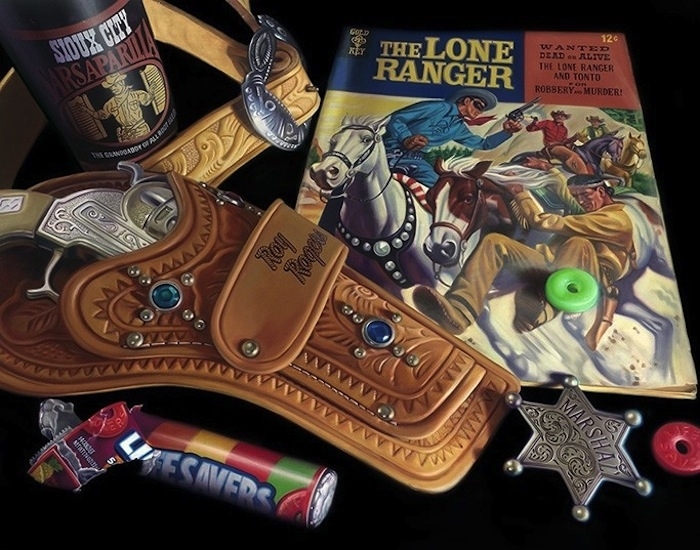 The Lone Ranger and Lifesavers Sweets. 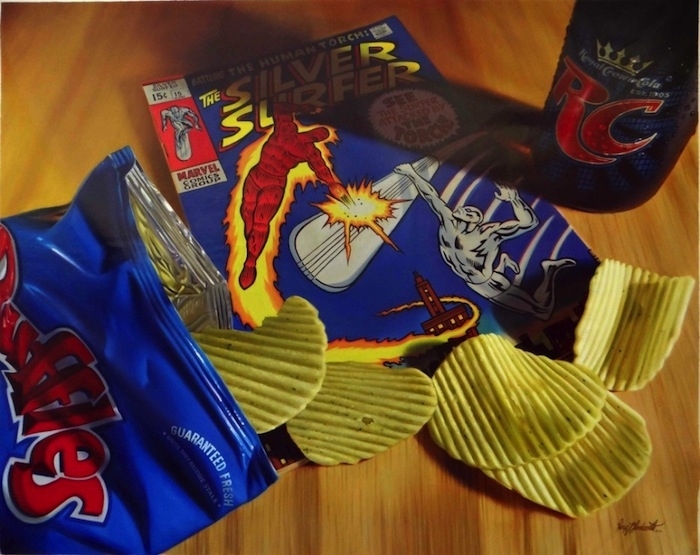 The Human Torch and The Silver Surfer and Ruffles.